in an overcrowded shelter,sick, and down to her last hour of life. 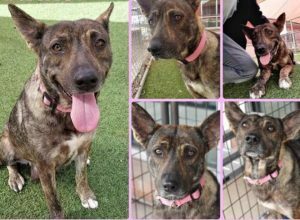 This happy girl has so much spirit and life in her, she most certainly needed a second change at love and kindness. Kaiya is healed up and ready now to start the next chapter of her life. 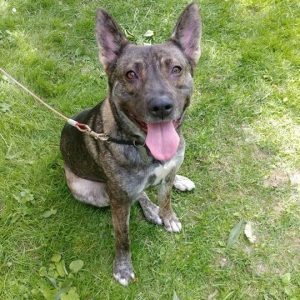 At our events, Kaiya welcomes petting from absolutely everyone and her tail is always wagging. She doesn’t mind car rides, enjoys walks, loves playing and playing with other dogs who aren’t too overwhelming. She’s a little too focused on kitties so we recommend a cat free home. Kaiya is crate trained & house trained. 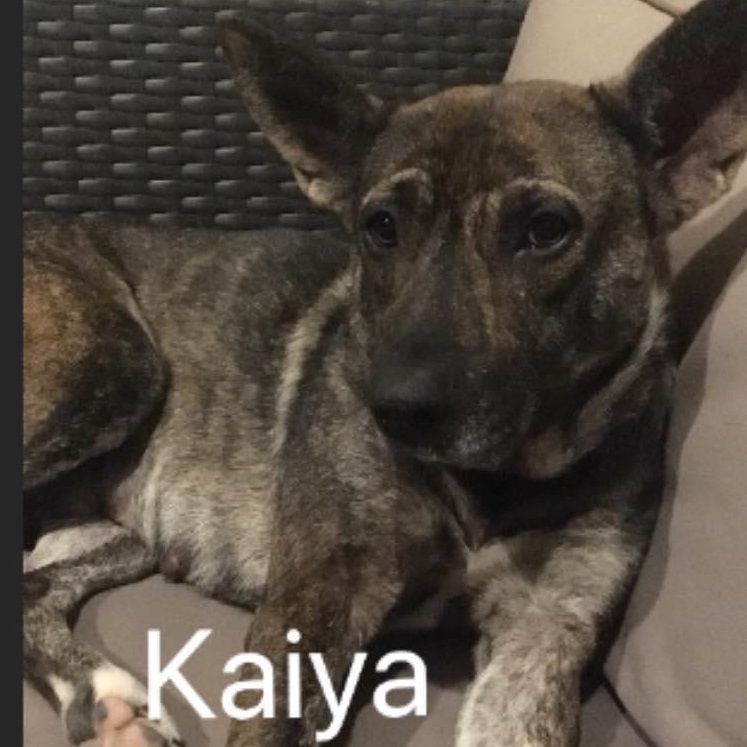 If you think you might be Kaiya’s match, please visit our website for adoption process details. Please be within an hour/90 minutes from Delmar NY.